Lawsuits seem to have an affinity for Apple. In the past, it has been sued by competitors like Samsung and SoC manufacturers Snapdragon. Many believe, the soured relations between Apple and Qualcomm is the reason why we might never see a mighty Snapdragon on an iPhone. Recently it was an Israeli company Corephotonics who sued Apple for Dual Lens Camera patent infringement. Corephotonics claims the Tim Cook led company has infringed 4 of its patents on dual camera technology. This time, its a Chinese clothing brand named Kon. Apple changed the logo of its app store in August. The old logo has been done away for a triangle with overlapping sides and rounded off edges. The logo of Kon is almost similar with sharp edges instead. Kon has slapped a case in the Beijing People’s Court, and the case has been accepted but not uploaded on the official website, so information on further proceedings is not available yet. 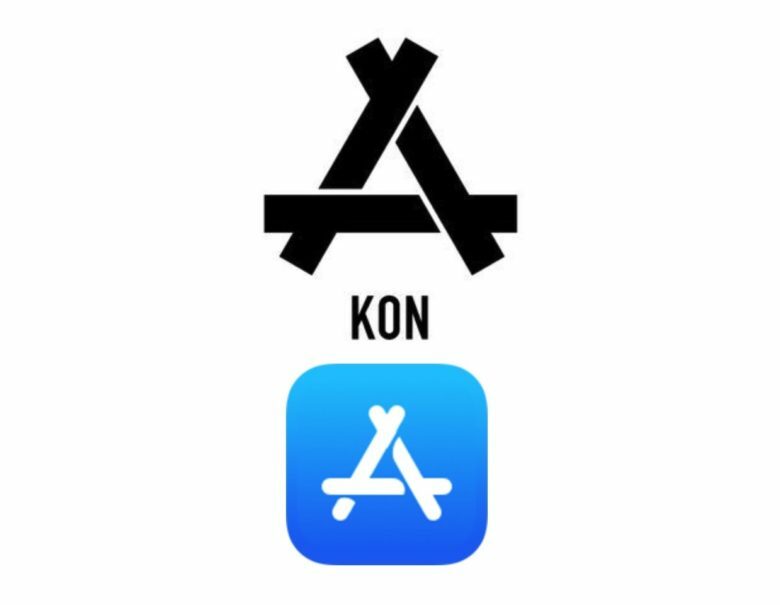 As per Kon, they have a trademark of the logo and have claimed Apple apologize publicly and pay damage charges. There have been no comments on the case from either party. Let’s just wish the iPhone makers a lawsuit-less upcoming new year.